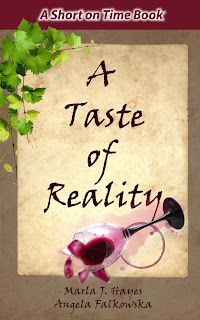 A Taste of Reality is a "magical mix of fairy tale and romance." The book has 4.8 out of 5 stars out of 17 reviews on Amazon. To young Terri Fortier, life in a castle in the south of France seems like a fairytale -- until she learns the awful truth. On her eighteenth birthday, she flees from the marriage her parents have arranged for her in hopes of saving their vineyard from an age-old curse. Terri makes her way to the Napa Valley and a forgotten, magical vineyard where she puts down new roots. But can Terri totally escape her destiny when reality proves to be more powerful than any fairytale? This "marvelous modern fairytale" is only $2.99 on Amazon Kindle.